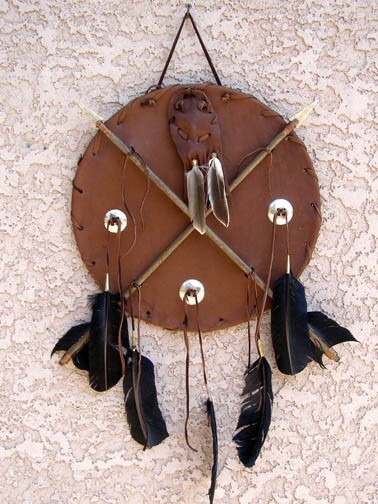 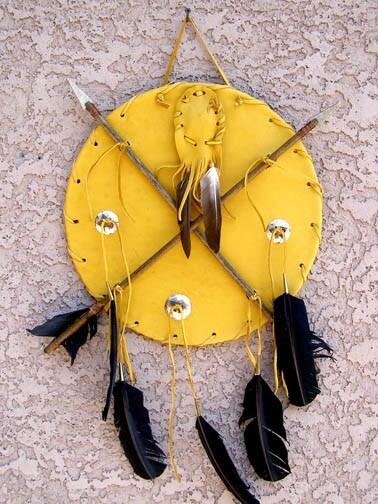 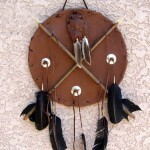 This is a 14 inch Ceremonial Medicine Mane Shield. 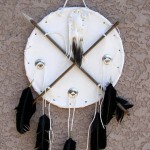 The face of the hoop is covered with buckskin & two short handmade arrows in a crossing pattern which represents peace. 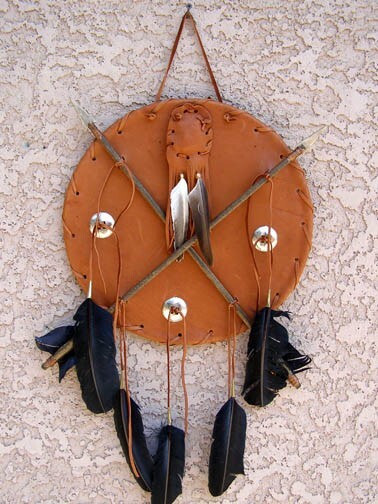 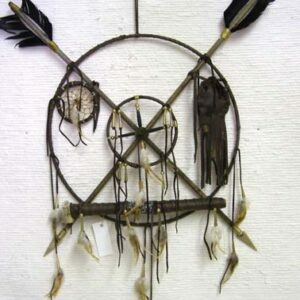 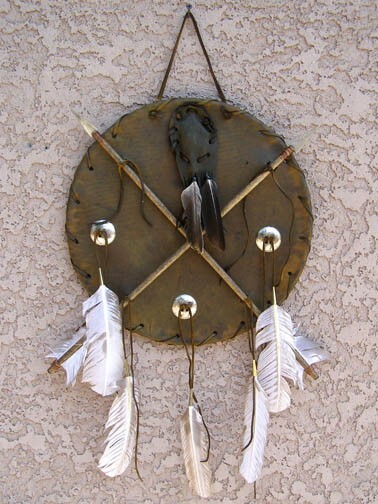 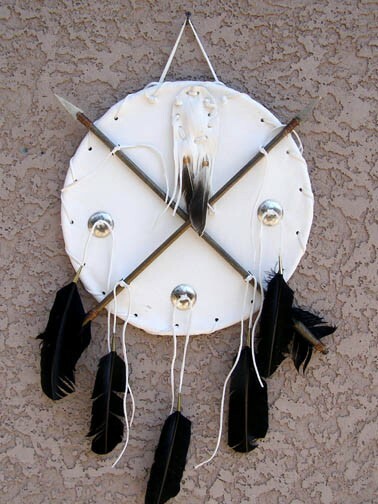 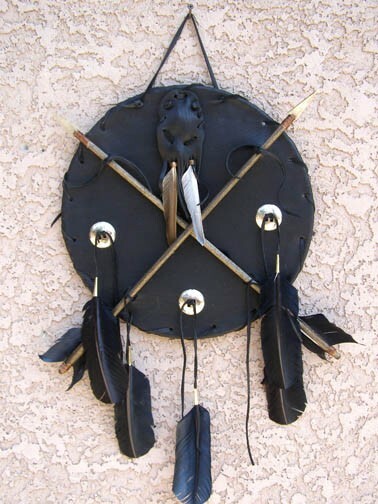 There are some metal socnos, feathers & fringe for decorations & a buckskin medicine bundle. 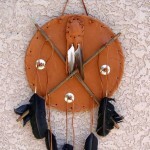 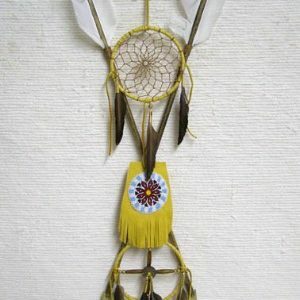 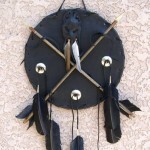 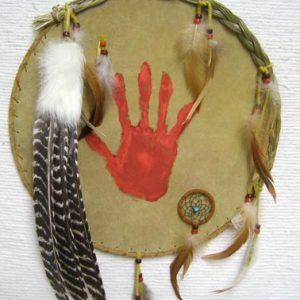 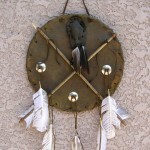 This would enhance your Native American collection & comes in several colors. 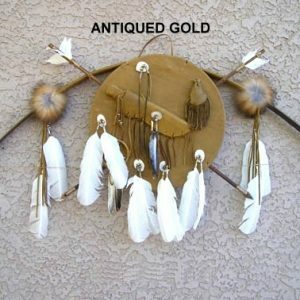 Choose from yellow gold(shown), off white, brown, antiqued gold or black.